The on-site brewery produces a wide array of one-off experimental batches of beer, which you can only find at The Glass Jug and a handful of select craft bottle shops and bars. Available on draft and to-go in 32-ounce crowlers. 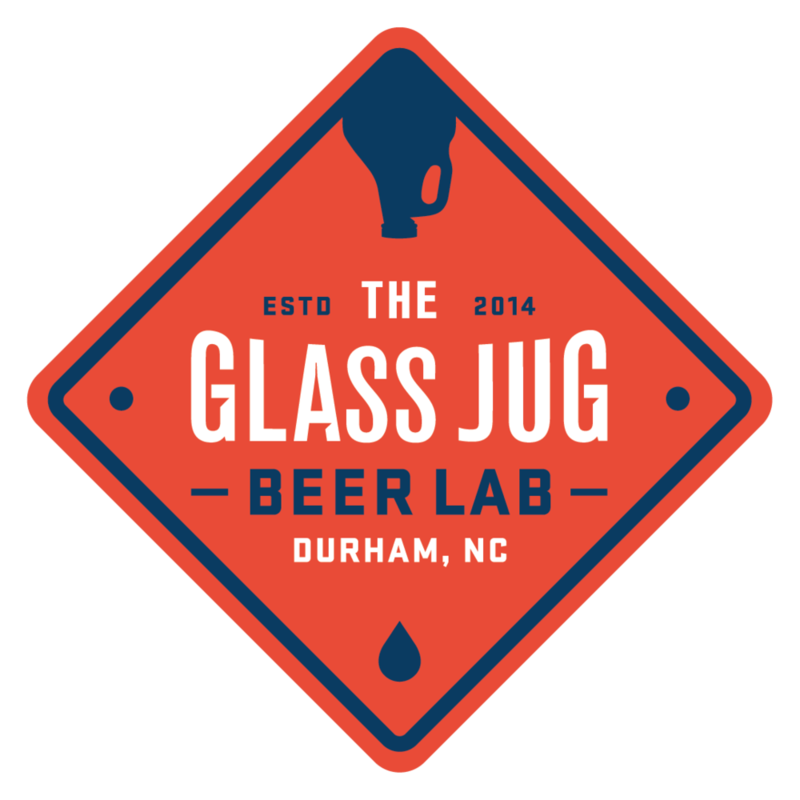 The Glass Jug features over 500 beers, wines, ciders, meads, kombucha, and sodas in bottles and cans, including a large selection of local, rare, and limited-release offerings from around the country and the world. Our state-of-the-art craft beer bar features 24 draft options, including two ciders, nitro beer, three rotating sour beer taps, nitro cold brew coffee, and a non-alcoholic option, in addition to at least four of our own house-brewed beers at any given time. Wine and mead are also offered by the glass. Choose any beer or cider from the draft list and have your growler filled using counter-pressure technology to ensure freshness, stable carbonation, and a longer shelf life for your favorite craft beer or cider. Or, join our Growler Club to get a 32-ounce refill every month! We host a variety of beer events & non-beer events alike. Join us for our weekly run or cycling club, or compete in our weekly disc golf league. We also host a knitting club, trivia, all-female beer education events, and a vinyl record night, in addition to tap takeovers, cask events, and food trucks every Friday evening! This month, we're excited to have Trophy Brewing as our NC Brewery of the Month. We are tapping some exclusive limited-release beers from Trophy to kick things off, and we will be featuring a rotating selection of their beer on draft all month long!